It’s not about looking at the mountain and saying “That's beautiful!’ I'm describing my personal experience.” Rains bring nourishment to the dry desert and, farther west, they feed the rivers and waterfalls of the great national parks. 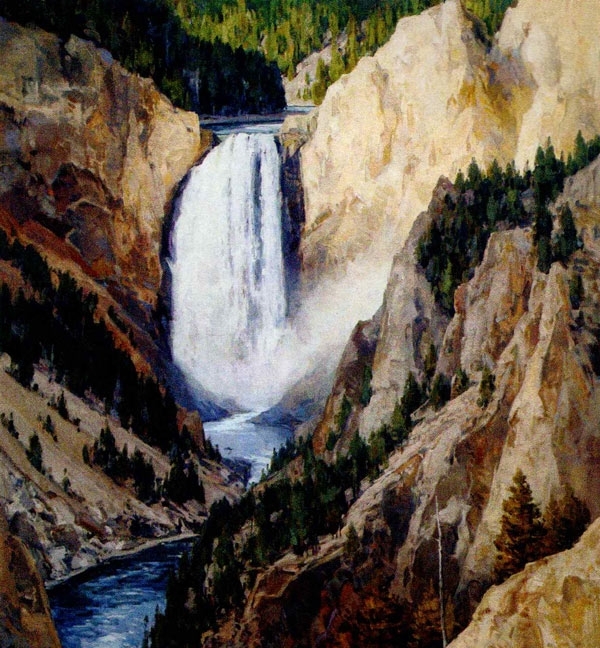 Josh Elliott’s Grand Canyon of the Yellowstone depicts the Lower Falls in all its primal power. Elliott, in a way, echoes Abeyta’s closeness to the landscape when he says, “A successful painting, to me, represents nature’s truth filtered through the artist.” Elliott long ago moved beyond painting simply a subject and constructed compositions that lead the viewer in and around his paintings. The falls are wonderfully left of the centerline and Elliott leads the viewer first to the cliffs on the right and, only later, to the falls. He knows nature and he knows how people see. Sometimes the water isn't there but the effects of its having been there remain. Throughout the southwest, dry river beds or arroyos are great places for walks. There may be trickles of muddy water, but they become treacherous during monsoon season when the water from thunderstorms miles away in the mountains can suddenly overwhelm the hapless hiker. 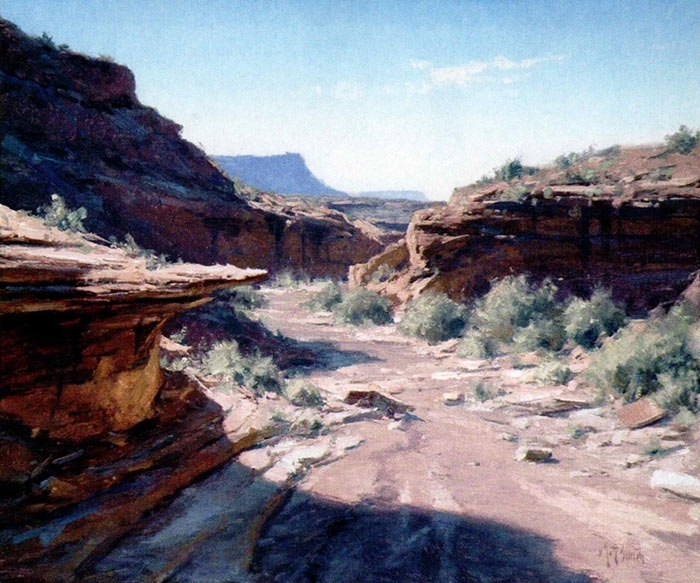 Matt Smith's Seven-Mile Draw shows the effects of millennia of flash floods in the otherwise peaceful setting.